View More In External Sound Cards. Audio Sound Card Adapter is a highly flexible audio interface, which can be used with either laptop or desktop system. No driver required, plug-and-play for instant audio playing and compliant with all mainstream operation systems. Simply Plug the Sound Adapter into your USB port, and then plug your headphones into the Adapter. This will solve many issues with macbooks have issue making condenser microphone work on the macbook. 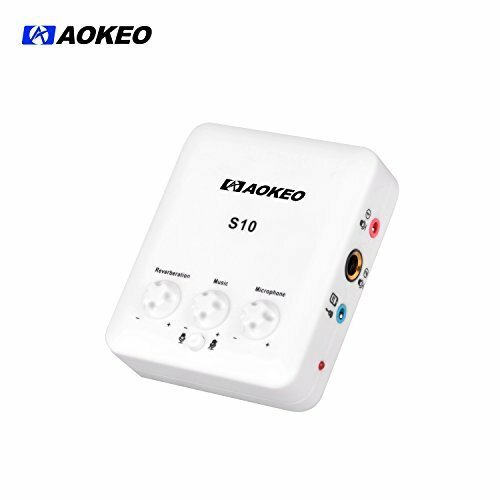 If you have any questions about this product by aokeo, contact us by completing and submitting the form below. If you are looking for a specif part number, please include it with your message.